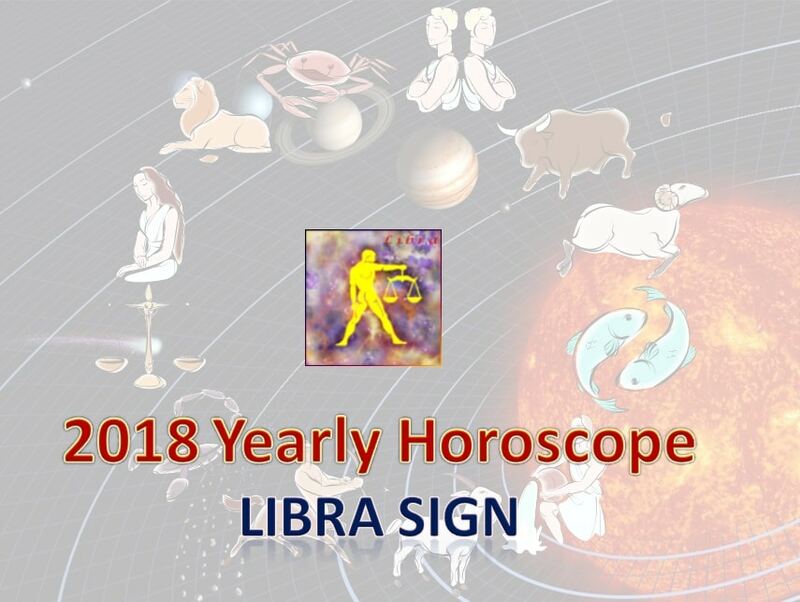 At beginning of the year 2018, planet Saturn is in Sagittarius sign (3rd house for Libra sign) and Jupiter is placed in 2nd house. People born under the Libra moon sign (Thula Rashi) can finally rejoice as planet Saturn moves away from your 2nd Houses. He had affected your confidence, thinking and talents for the past few years. As Lord Saturn has moved away from that position and hence this New Year 2018 brings in pleasant surprises to you. For the past few years, you would have suffered from joblessness, working for poor pay, an under-qualified position or working under poor management or job that you hate. This year will change that situation drastically. For the past few years your planetary conjunction in your moon sign made it impossible for you to focus and caused confusions regarding your future, depressing you to no end. This year will clear the air and set you on a new energised path to success in life. Your life will start moving towards positive growth in all states of life gradually. The obstacles placed in your path will start shifting away. Ask and you shall receive -that will be your byword this year. Whatever you had wished for yearned for will become a reality. So, to explore this beneficiary planetary placements, you should throw away your fears and start working with your full focus. The hurdles of disappointment faced by the youngsters will start vanishing. Whatever issues had complicated your thinking will resolve clearly. Those who had been confused on what path to take in their life will see their course getting clear. Especially, people in their thirties will have a steady, well-paying career. All aspects of your life regarding finance will work out well and your finances will be steady. This year will see your economic position rise greatly. Generally speaking, the young Libra sign people have a very promising year ahead. Your life will get settled in various phases like relationships and career. For the people in their middle age, your financial situation will be well off. The poor planetary conjugations for the past few years made it difficult for you to settle well. Government and private employees had been struggling with inefficient and rude bosses for the past few years. That had caused poor performance, self-esteem issues and stress in you. Now, those who had misunderstandings with you will be transferred and you will have better, appreciative managers who see eye to eye with you. Government employees will be blessed with good fortune this year. Those in positions of power and control especially in the police force, judiciary, ministers and higher officials will have a good period of growth in their work. Jobs that involve interacting with the public and politicians will have additional benefits this year. They will receive promotions and better positions. Artists, daily wagers, farmers, fishermen, those interacting with the public will have a very lucky year ahead. So make use of all this opportunity and rise up in your lives. Those working in very procedural work would have faced hurdles and blank walls in whatever direction you had taken. Now your time has hanged and you will see new paths where none had existed. People who are suffering from chronic diseases will see improvements that will astonish their doctors. You will organize parties and celebrations in your family. You will perform the marriages of your children in a grand manner. Your grandchildren will bring satisfaction and make you proud. As planet Saturn is in your 3rd House, your mental strength will be commendable. You will get the courage to overcome any difficulties. You will benefit from your overseas associations. You might even travel abroad. People from other religions will help you. This year brings benefits for women too. Your children will make you proud. Marital relationships will be smooth. You will have no problems at your work place. Your husband and children will listen to your advice. You will celebrate many events with your family. Working women will be respected and treated well at your work place. Your mental and physical well-being will bring you refreshment and energy. Your face will reflect your happiness. The confusions, laziness, hazy thinking and procrastinating behaviour that you had suffered in the past will now leave you. Whatever hurdles that stopped you from rising up in your life will vanish, and you will be blessed with good luck and strength to proceed. If the planetary positions in your natal chart are good, then some of you might even become famous. Those who had divorced after a bitter marriage will start their second innings with success. You will get new friends and acquaintances. Those who had separated from you after some misunderstanding will now come closer to you. This year bodes well for all Libra sign (Thula Rasi). This year will bring you happiness into Thula Rasi life.